Hexagon Composites has received an order from Air Liquide Advanced Technologies U.S., a world leader in gases, technologies and services for industry and health, for a transportable tank system. 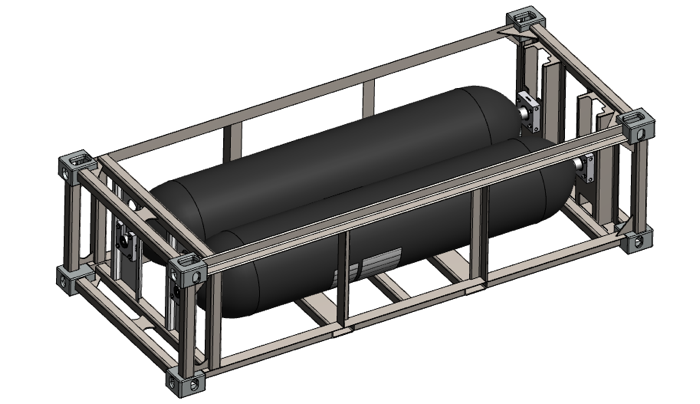 The high-pressure tank system will be used in a mobile hydrogen refuelling trailer supporting the rapidly growing fuel cell electric vehicle (FCEV) market in the U.S.
Hexagon recently received a United States Department of Transportation (U.S. DOT) special permit for its ultra-high pressure transportable tank systems. Air Liquide has ordered a 950 bar (13,775 psi) tank system which allows for maximum volume of hydrogen per module. The mobile hydrogen refuelling trailer will start operation in the second half of 2019.